I’m one of those crazy weirdos who actually likes work. Well … let me rephrase that: Sometimes I hate work, but in general, work comes naturally to me. I understand it. Relationships are messy, and I’m not super good at leisure time. But with work, there are clear expectations. Come at this time. Complete this project. Follow up with that person. Return that email. Go to that meeting. Go home for dinner, get some sleep then do the same thing again the next day. If you’re in a job that fits your skills, it’s relatively easy to know if you’re winning. You may not necessarily get promoted or praised, but if you consistently do what you’re asked to do, you get a paycheck. You have a fair amount of control over your success. It’s transactional; do this, and you get that. That’s how work works. That’s what I like about work, but it leads me to what I don’t like about work. Read the full post on Boundless here. A few years ago if you would have told me the hottest, trendiest show on Netflix today would be a show about “tidying up,” I would have thought you were crazy. There is so much content on streaming platforms these days — some of it’s even nominated for Oscars. And we’re watching people clean? Sandra Bullock is paddling down white water rapids wearing a blindfold. Every comedian you’ve ever heard of has a comedy special — and they’re getting coffee with Jerry Seinfeld. People are making really horrible cupcakes on “Nailed It!” “The Office” is even on there — like, all of it. And I’m watching people clean? Yes, I, too, got sucked into the polar vortex (or maybe that’s something else) of Marie Kondo. “Tidying up with Marie Kondo” is apparently starting a revolution of people vertically stacking their folded shirts, putting all their silverware in tiny boxes and “sparking joy” in every room they enter. It’s hard to argue with the results. A clean and organized house is refreshing. Our lives are complicated enough, so putting things away appropriately and living in an attractive home is appealing. As great as that process is and as weirdly binge-worthy Marie Kondo’s show is, I started to realize that maybe I could use some tidying in other areas of my life. In my job at a local church, I regularly interact with older people. Sometimes we just chat before a church event. Sometimes I help put together details for a loved one’s memorial service. Sometimes I’m simply their best option for free tech support (“Have you tried unplugging it and plugging it back in?”). My interactions make me wonder why some older people are really funny while others are really grumpy. (OK, I realize that is a huge oversimplification — you know, like all millennials are lazy bums living in their parents’ basements.) From my experience, some older people are full of quips, jokes and winks, and others seem always to be angry, and — by George! — you’re going to hear about it. Recently in a staff meeting, someone asked one of our pastors who is a little older how he was able to remain positive, happy and outgoing while so many of his peers weren’t. How did he avoid becoming cynical over the years? “I fight it,” he said. I vividly remember a conversation I had with one of my teachers near the end of high school. I had multiple leadership roles that year, so I had all sorts of trainings to complete, meetings to run and banquets to plan. “No you don’t,” my teacher said. Are We Entering a New Era of Christian Music? As I’ve written before, I have a weird relationship with “Christian” music. There were seasons in my life where that was all I listened to, and I absolutely loved it. I bought every Michael W. Smith album (literally), waited in line to meet Nicole C. Mullen and was usually wearing a Hawk Nelson tshirt. However, as I got older, I branched out a bit and discovered that I really enjoyed what my friends were listening to. As great as Bebo Norman and Jaci Velasquez and Third Day were, I realized I also really liked Coldplay and Fallout Boy and John Mayer. Along with scrunchies, mullets and skateboards, the 80s also brought us the careers of Amy Grant, Michael W. Smith and Steven Curtis Chapman. While there has always been music about God, these pioneers ushered in a new kind of Christian music. They were talented and young, and their music sounded similar to the pop hits on the radio. In fact, some of their songs even ended up “crossing over” on the charts, and they were forever immortalized as kings and queens of CCM. After we experienced “Lead Me On” and saddled up our horses, it seemed Christians had finally found their “place in this world” in popular music. In the 90s and early 2000s, a wave of new artists hit the scene with a slightly different flavor of Christian music. After the early successes of the CCM trailblazers, Christian record companies jumped on the bandwagon and found ways to encourage “positive alternatives” to mainstream favorites. Many Christian artists in this era weren’t necessarily making bold statements about faith, but they were fun alternatives to mainstream pop. The Newsboys sang about Captain Crunch, Switchfoot mentioned Elvis’ mom, and Audio Adrenaline talked about heavenly football games. The content was safe, the melodies were catchy and Relient K taught us about mood rings. The mid-2000s were all about worship. I remember the first few times I heard “Here I Am to Worship” by Tim Hughes, and suddenly the music at my church and on the radio began to shift. Artists like Chris Tomlin, David Crowder and Hillsong led the charge, but eventually everyone was recording worship music. The music was definitely more centered on God, and it seemed to ignite a new passion in younger Christ-followers. As great as this was, the music also started to all sound very similar, and there was very little variety. Even edgier bands like Kutless and Seventh Day Slumber toned it down to release their own takes on modern worship classics. And if Hillsong or Desperation Band ever released a powerful song that wasn’t quite radio-friendly, you better believe our friends Phillips, Craig & Dean would swoop in and have it covered (literally). Christian rapper NF landed a No. 1 album on the Billboard 200 chart. Not the Christian 200, the overall Billboard (and apparently Eminem noticed). Lauren Daigle’s new album Look Up Child debuted on Billboard ahead of Drake, Ariana Grande, Post Malone and Niki Minaj. Grammy-nominated Tori Kelley (not typically regarded as a “Christian” artist) just released a new album called Hiding Place where every song is full of Christian themes, including one centered around Psalm 42. Avil Lavigne—yes, Avril Lavigne—just released a new single that many are calling a worship song where she pleads with God to rescue her. Mumford and Sons has a new song where they continue their trademark move of subtly (or not-so-subtly) wrestling with faith. Justin Bieber recently posted Instagram videos of him singing the popular worship song “Reckless Love” by Cory Asbury. Over the past few years, the line between sacred and secular music has blurred arguably more than ever before. Christian artists like NF and Daigle are gaining national attention for their original and impressive releases, while mainstream artists seem more and more comfortable addressing matters of faith. In my opinion, this is really good news. Not necessarily because “Christian” music is “successful,” but because more and more people are willing to talk about matters that were seemingly taboo even a few years ago. We should be ok with and even celebrate artists like Avril, Kesha and Mumford when they are vulnerable enough to publicly wrestle with faith. Yes, some of their songs also include cursing and themes not necessarily endorsed by the Bible, but I think it’s important for us to remember: We’re all on our own journeys, and it can be dangerous to judge and hypothesize about the faith of rock stars from afar. I hope the trend continues where we get to experience really good music, regardless of how it got marketed. I hope Christian artists feel the freedom to explore topics other than the worship genre, like Daigle and others like Needtobreathe have done so masterfully. I also hope mainstream artists follow the lead of Bieber and even Chance the Rapper where dialogue about faith in Christ is scattered throughout their lyrics and their lifestyles—even if we don’t agree with everything they say. In this case, I believe that blurry line between sacred and secular can lead to natural, interesting and helpful conversations about faith that may not arise otherwise. It’s true many of these mainstream artists have room to grow in their faith and no one knows their motive behind these faith-based songs, but as Paul wrote to the Philippians: “Whether out of false motives or true, Christ is proclaimed. And in this I rejoice” (Philippians 1:18). A few weeks have passed now since the media maelstrom surrounding the Nike/Colin Kaepernick controversy took over the Internet. This story has taken the predictable trajectory I’ve come to expect with things like this: Big news breaks, everyone overreacts and gets angry on Twitter, and eventually we settle down and make Dwight Schrute parody memes. I’ve found that the parody meme season is a good time to talk about these touchy subjects. Just in case you’ve been sleeping under a rock for a couple years, here’s the summary: Kaepernick was a popular NFL quarterback who started kneeling during the national anthem to protest police brutality and racial injustice. He ended up getting cut from his team, and no other franchise has offered him a contract since then. Many people believe these teams are unwilling to sign Kaepernick because of the controversy and media attention they would likely receive every week along with his protests. The assumption, then, is that Colin essentially sacrificed his dream to stand up for something he believed in. Nike noticed, paid him a ton of money and now Colin is the face (and voice) of Nike’s latest advertising campaign. This is a very big and nuanced story. Around half of our country is applauding Kaepernick for taking this stance, while the other half is angrily burning their Nike shoes and cutting logos off their socks. Although Kaepernick’s protests have always been about racial equality and police brutality, some view his actions as unpatriotic and disrespectful to our flag and our military. Wherever you stand on this controversy, I’m not here to change your mind. For the folks who are really passionate about this, I couldn’t write an argument you haven’t already considered. However, whether you love or hate Colin Kaepernick, I do think there are lessons we can all takeaway from this story if we’re able to look at it objectively—and even consider some biblical parallels. The Bible is full of stories of people who took big risks for what they believed in. Noah built a big boat before it started raining. Rack, Shack and Bennygot thrown into a fiery furnace for refusing to bow down to a chocolate bunny (or something like that), and their friend Daniel was tossed into to the lions’ den for rebelliously worshiping his God. All of those flannel board stories we learn in Sunday school generally have the same narrative arch: One of our biblical heroes is confronted with a difficult choice. Usually they’re faced with a decision to either obey and worship God, or fit in with the culture around them and sacrifice their beliefs. Noah, Shadrach, Meshach, Abednego, Daniel and several others all got rewarded for their loyalty. Instead of being killed or facing horrible consequences, these flannel board all stars live happily ever after and eventually get VHS videos featuring dancing vegetables made in their honor. However, the stories don’t always end like that. John the Baptist got beheaded. Nearly all of Jesus’ disciples were martyred for their faith. Paul spent five or six years in prison, and then was beheaded. After living a perfect life and demonstrating unconditional love, our Savior and Lord—the Son of God—was brutally crucified. For Bible characters, famous athletes and the rest of humanity, doing the right thing does not guarantee a happy ending. Here’s one thing I can’t get passed in this Kaepernick situation: When he started these protests in 2016, he had no idea how his story would end. The odds were pretty high that he wouldn’t get beheaded or thrown into a deadly fire, but I don’t think he had a clue he would receive this much attention. In fact, he didn’t at first. Before the first two games of the 2016 NFL preseason, Kaepernick sat on the bench and did not stand with his teammates during the anthem. It wasn’t until his third protest that the media took note and this whole thing began. He didn’t loudly announce his campaign in a high-profile interview. I doubt his jersey sales were at the front of his mind when he started sitting. If you told Kaepernick in August 2016 that he would be paid millions and be featured in a high profile Nike ad for his actions two years later, I’m not sure he would believe you. However, he likely also wouldn’t have believed you if you told him he would be cut from the 49ers and no one else would give him a chance to play football ever again. His story is obviously a unique outlier, but in a sense, we all face similar situations all the time. When we’re confronted with difficult decisions, we have no idea how the future will pan out. If we take a stand (or seat) for a controversial belief we have, in that moment we don’t know if we’ll be honored and applauded for our courage, or torn down and ridiculed for our convictions. Will you be called a hero, or a traitor? Will you earn a ton of money and spotlight, or lose your dream job—or both? Will anyone even care or notice that you’re standing (or sitting) at all? In the moment, we rarely know ahead of time if any given action will result in us “sacrificing everything”—but let’s say we did. If you knew for sure you would lose your job or miss an opportunity or even be killed for your convictions, would you still go through with it? What do you believe so strongly that you’d be willing to sacrifice everything? Is there anything? The Christian life is hard. 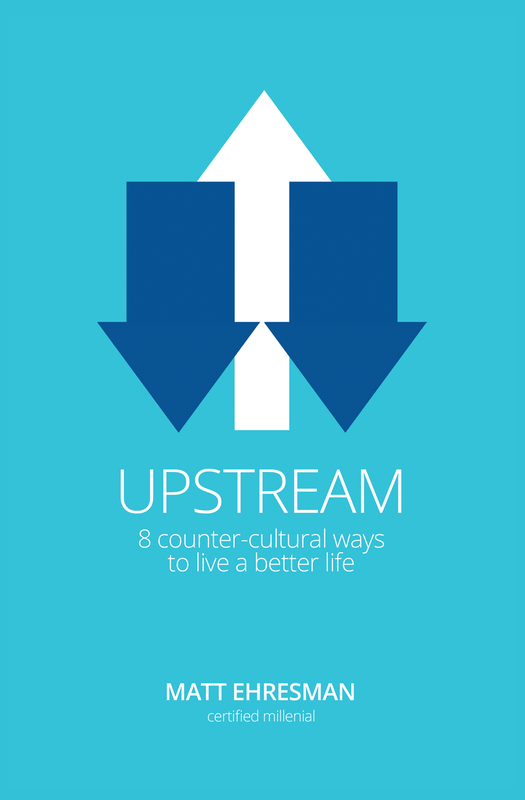 Jesus asks us to do all sorts of things that aren’t popular. Sometimes when we obey, we’re rewarded with safety and promotions and applause. But sometimes His commands leave us on the other end of the spectrum, and mature believers need to be ok with embracing either reality. Regardless of outcome, we must stand for what we believe to be true. Instead of cutting out logos from your gym socks, this may be a good time for us to consider what convictions we have that are that strong, and maybe also reevaluate how we treat others who boldly speak out about their passions. We live in a difficult and complicated time where the line between right and wrong (ironically) seems both more rigid and yet blurrier than ever before. I think it’s important for us to know and figure out what we believe and where we stand so we’re prepared when those big moments come. No matter what you think of Colin Kaepernick, we would be wise to join the side of biblical heroes and historical icons who did whatever it took to stand up for their beliefs—regardless of the outcome. 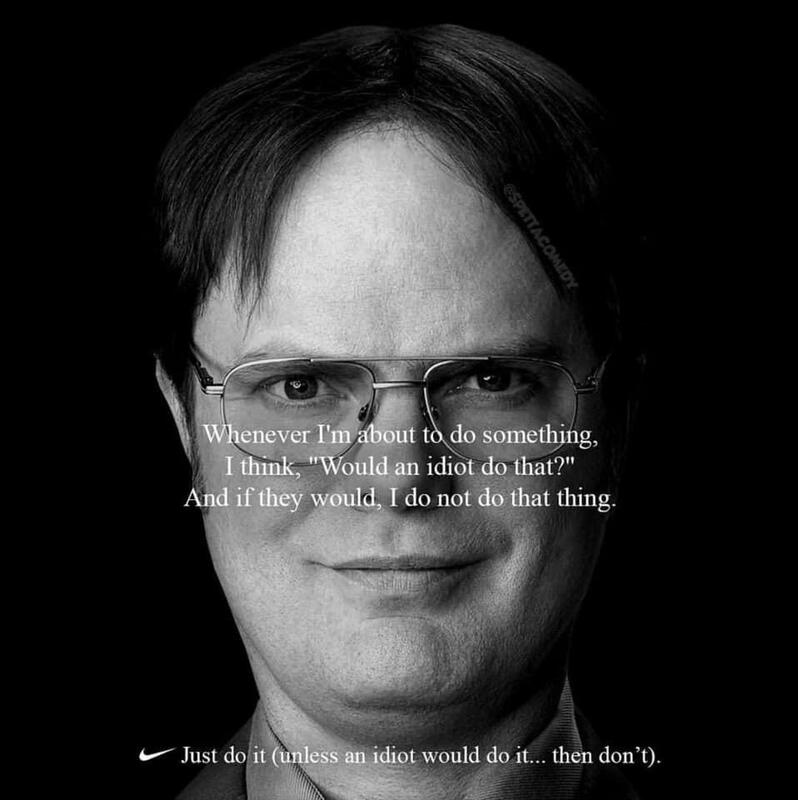 You may never get a vegetable TV show or Dwight Schrute meme made in your honor, and you likely won’t be Nike’s next big spokesperson, but those should never be our primary motivators anyway. Live a life you’re proud of—modeled by Scripture—and the only Audience that really matters will certainly take note.